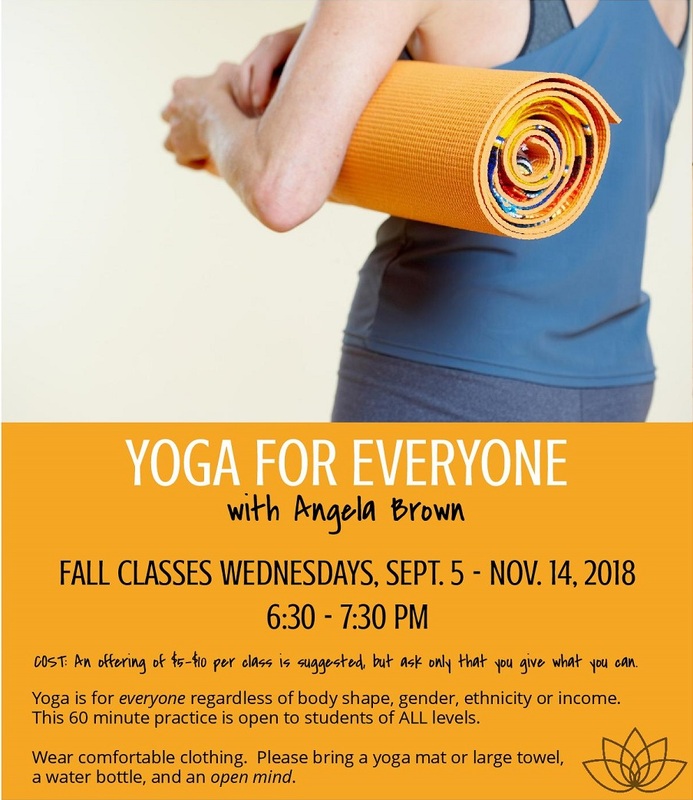 Yoga with Angela Brown is for everyone regardless of body shape, gender, or ethnicity. This 60-minute practice is open to students of ALL levels. COST: Pay-what-you-can — an offering of $5-$10 per class is suggested, but ask only that you give what you can. Wear comfortable clothing. Please bring a yoga mat or large towel, a water bottle and an open mind.